Commercial air traffic; air shows; helicopters for tourists, the media, police, and emergency personnel; and even skydiving outings: The opportunities for an airborne mishap are everywhere. If you have survived an airplane accident or helicopter crash or are suffering as the result of a wrongful death in your family — whether as a passenger, pilot, or bystander on the ground — you may be facing long-term health care needs, emotional trauma and financial challenges. Aviation personal injury cases are among the most challenging types of litigation, in part because the necessary legal knowledge is so specific and the necessity for expert witnesses and investigators is so great. 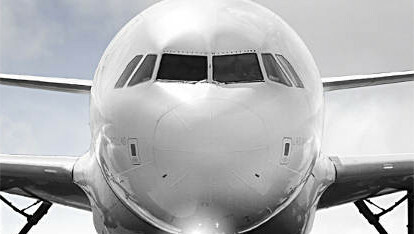 Bailey & Partners has spent years building a reputation as one of the top aviation law firms not only in the Los Angeles area, but in the entire nation. We’ve successfully handled countless high-dollar cases and have extensive experience in actions related to personal injury from aircraft mishaps. As our attorneys conduct an investigation, compile evidence, interview witnesses, and assemble legal arguments for your best interests, we will always be committed to your medical recovery as well as your financial compensation. We can refer you to expert medical professionals to help in your recovery and long-term health care. Airplane crashes usually have tragic consequences: wrongful deaths or catastrophic, life-altering injuries. But many of these accidents are avoidable. Led by the knowledge and experience of lead attorney Patrick Bailey — himself an aircraft pilot — Bailey & Partners has won numerous multi-million-dollar settlements in aircraft cases, including a $14 million settlement for an airplane crash victim. Simply put, we’re one of the best in this area; few firms can match our expertise and results. We handle cases arising from crashes involving commercial planes, charter planes, private jets, business jets, and air shows. After a crash occurs, you have a limited amount of time to act; the sooner you contact us, the sooner we can put together a strategy that applies to the circumstances of your case. Call (310) 392-5000 for a complimentary consultation. Helicopter crash cases can be complex. Not all helicopters are the same, and different helicopters each present their own potential defects and operational hazards. When determining pilot error, many factors need to be taken into consideration. To strengthen our existing knowledge of these factors, Bailey & Partners’ attorneys bring in a wide range of experts and investigators to lend superior expertise to your case. Whether you were injured in a helicopter crash as the pilot, a passenger, a patient on an emergency helicopter transport, or as a bystander on the ground, our experienced lawyers are ready to help you recover the financial compensation you deserve. You may require long-term physical therapy, reconstructive surgery, mental health counseling, and compensation for lost career opportunities. We are prepared to use all of our resources to help you achieve your goals.